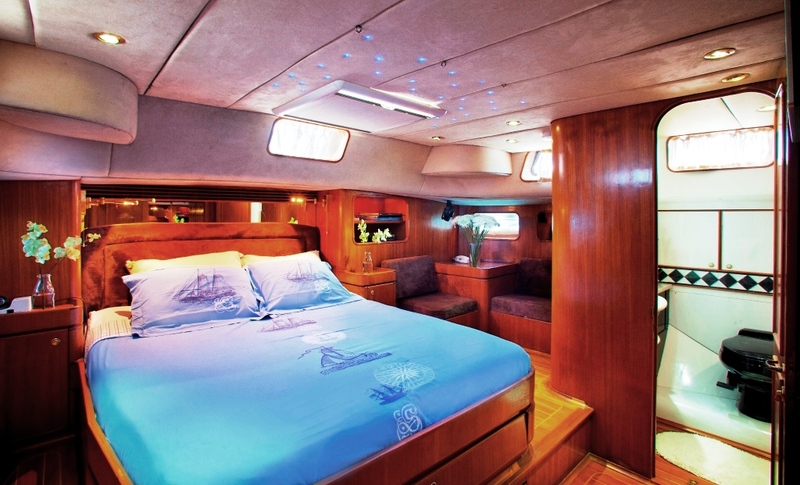 BLUE PHOENIX has the ideal layout for a family. 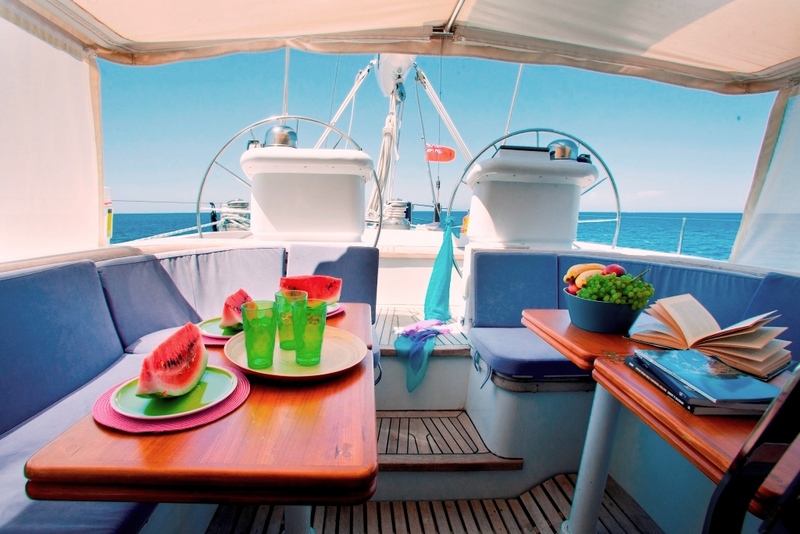 The raised Pilothouse located amidships offers a dining table and a cooler box along with full navigational systems. 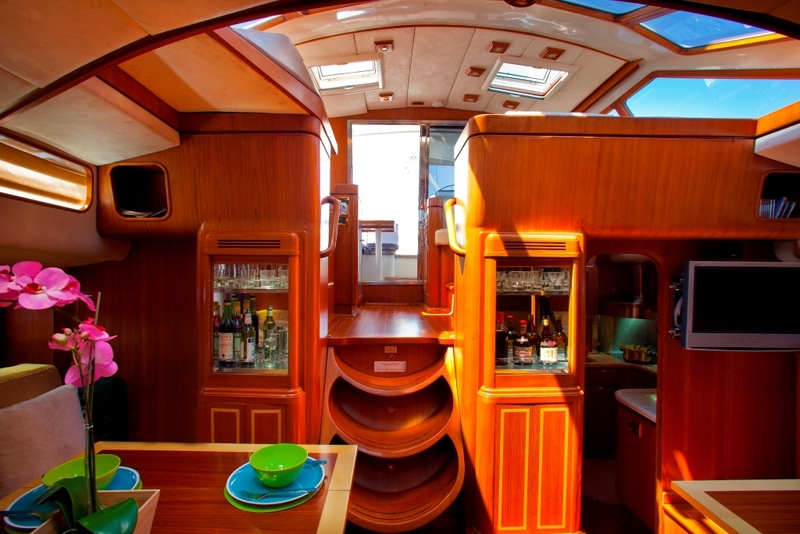 From the pilothouse, a staircase leads to a lower level salon and wet bar, complete with dual tables, ample seating and formal dining options. 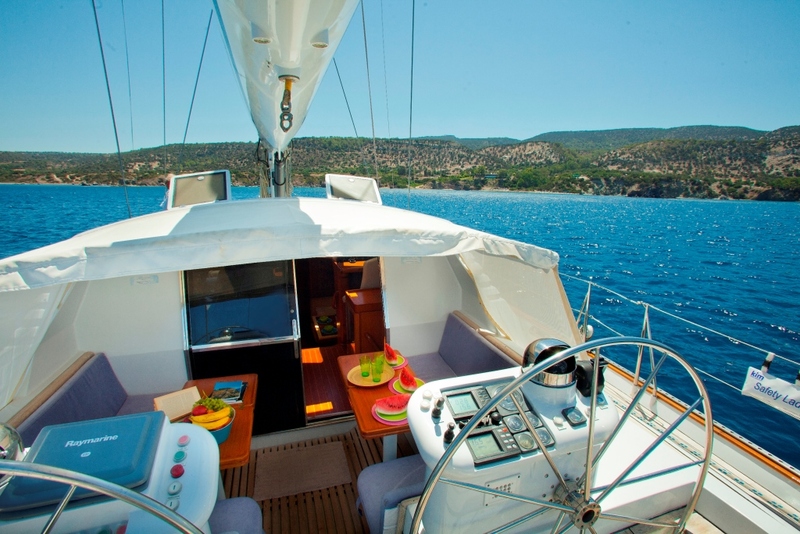 The area offers access to the fully equipped galley to port and boasts plenty of natural light from overhead windows and hatches. 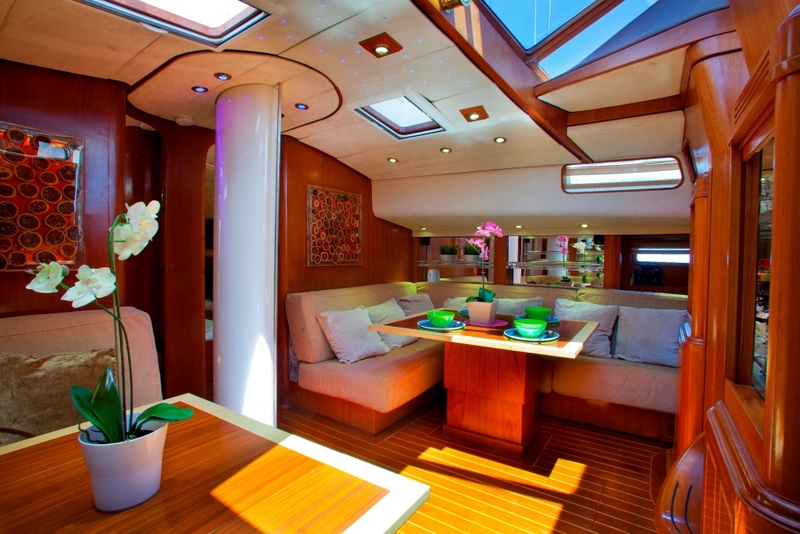 The salon features full entertainment systems and is inviting and comfortable, with a contemporary timeless decor. 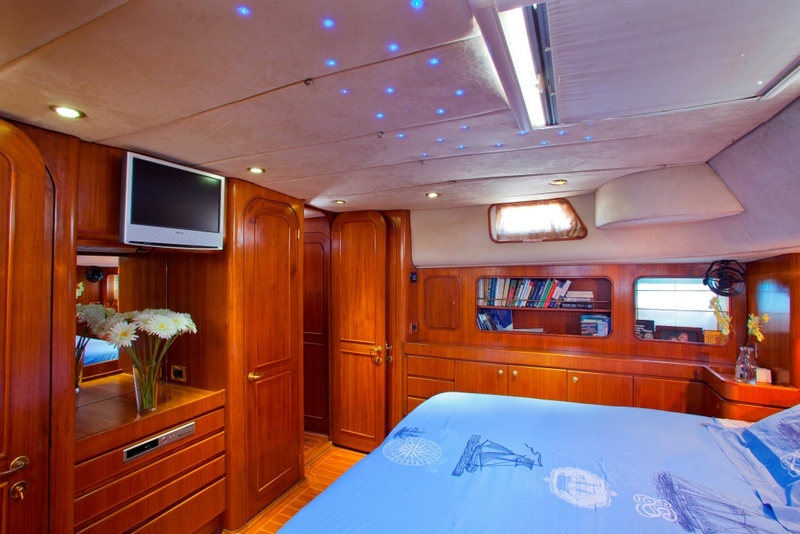 Guest accommodation is fore and aft of the salon, in 1 master cabin and 2 guest cabins, each with private en-suite facilities. 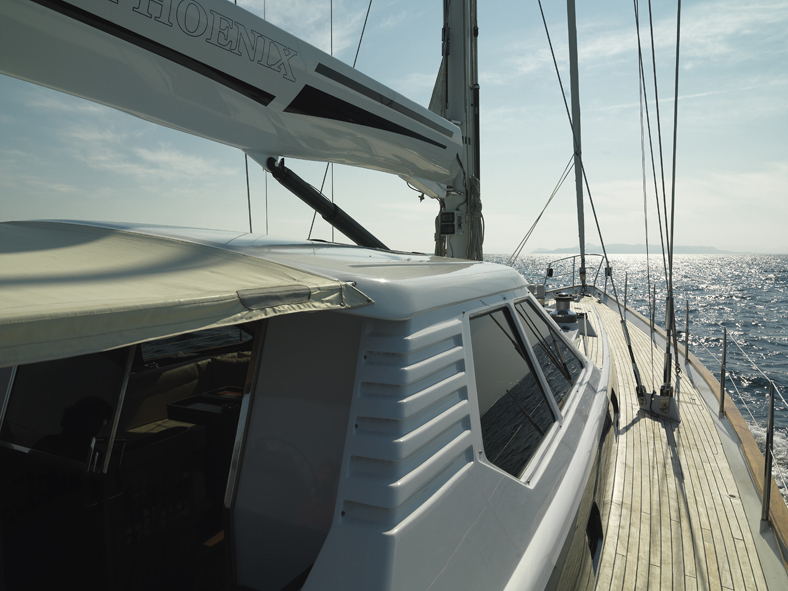 Exterior living aboard the sailing yacht BLUE PHOENIX is generous and well-appointed. 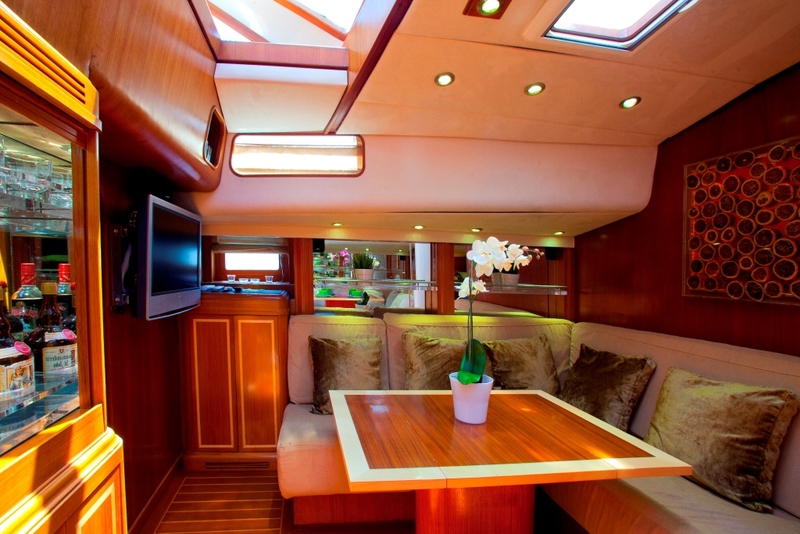 Exiting the pilothouse towards the stern, the space opens up into an all-weather covered cockpit, complete with opposing seating, 2 alfresco dining tables and direct access to the salon. The deck outside is open and unobstructed, with great options for relaxing and sunning. 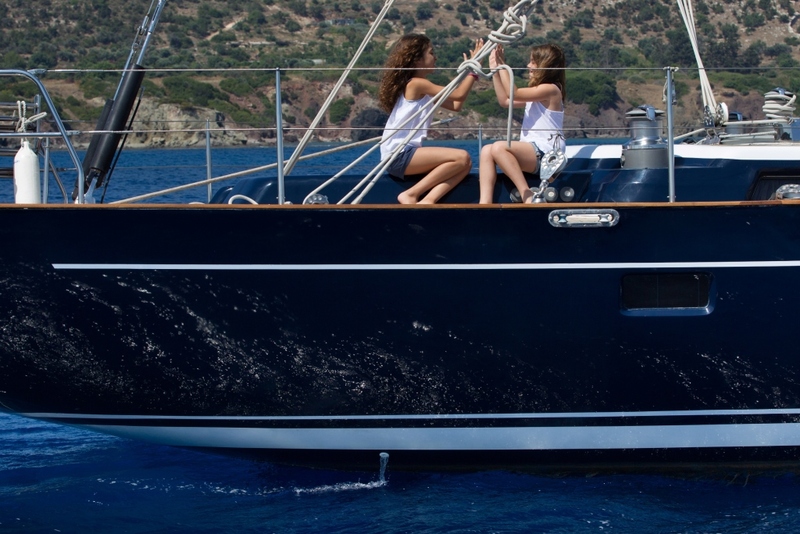 On the transom, the tender is stored within the BLUE PHOENIX, which opens out for effortless launching, while doubling as the perfect swim platform, ensuring guests can enjoy the water toys on offer with ease. 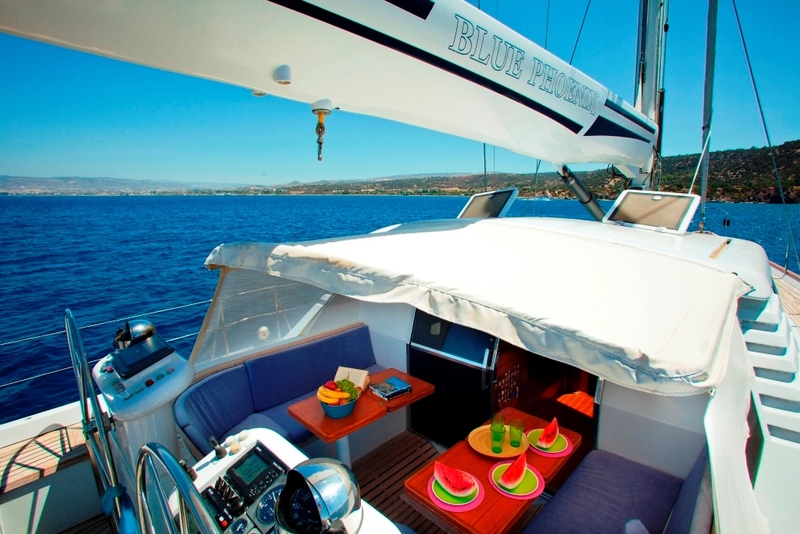 Latchi marina, Cyprus, Rhodes, Kastelorizo. 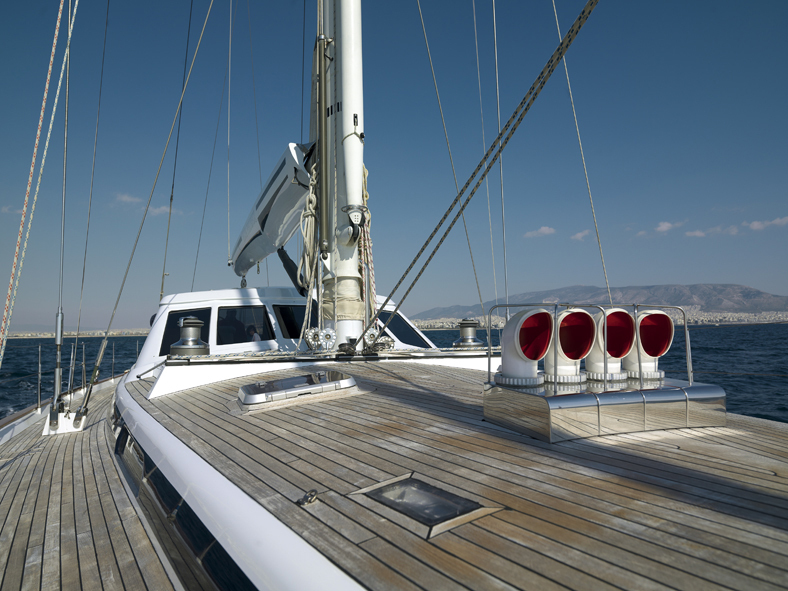 Latchi marina, Cyprus, Rhodes, Kastelorizo, Kos, Aegean Islands and the Cyclades Islands. 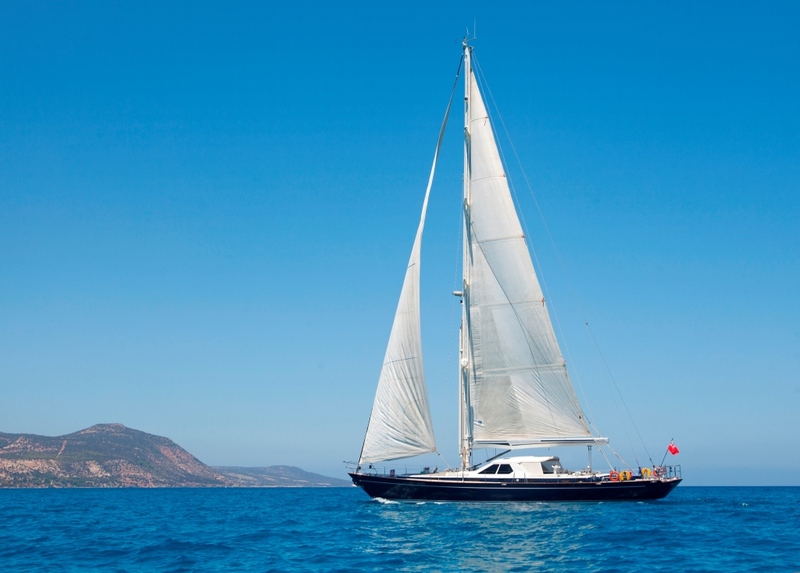 S/Y BLUE PHOENIX accommodates up to 7 charter guests, in 3 en-suite cabins. 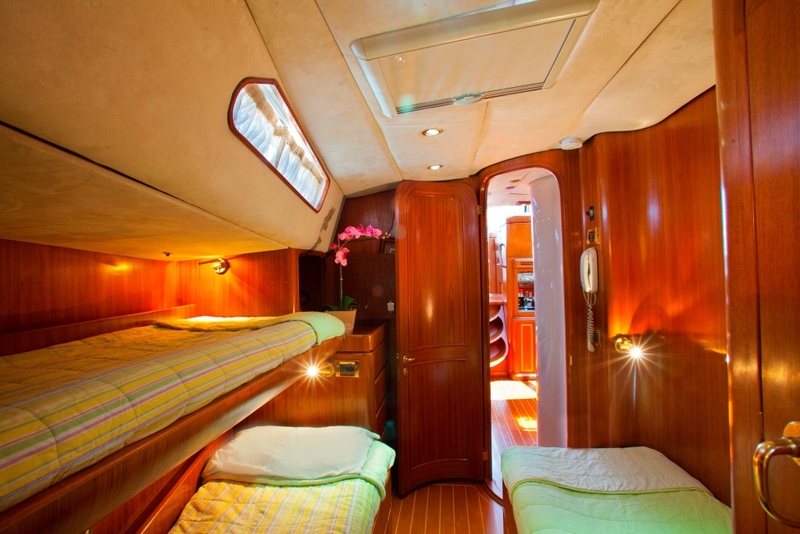 The yacht offers a Master Cabin with a Queen size bed and en-suite toilet and shower. 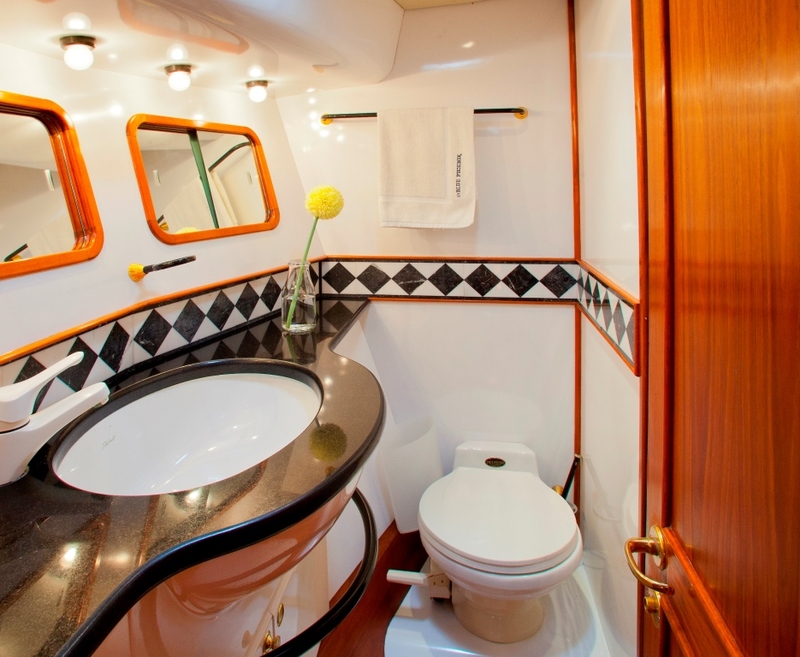 At the bow of the yacht, there are two cabins with en-suite showers and toilets. 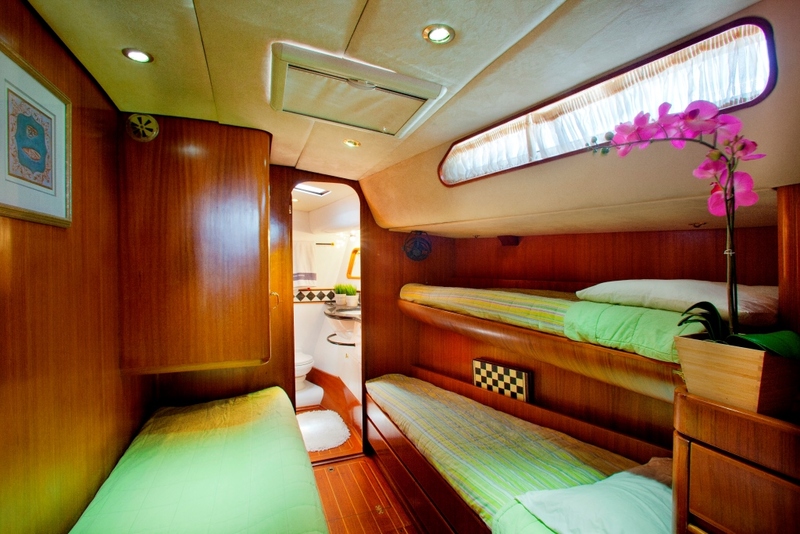 One cabin accommodates 3 guests, while the other offers accommodation for 2 guests. 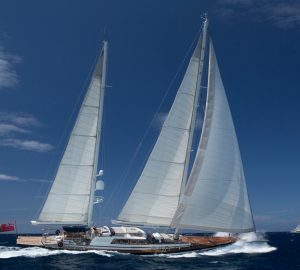 Sailing yacht BLUE PHOENIX offers the following tenders and toys: Zodiac 3 dinghy, 80m 9.9HP Mercury - both in hydraulic transom garage, Snorkelling & fishing equipment. 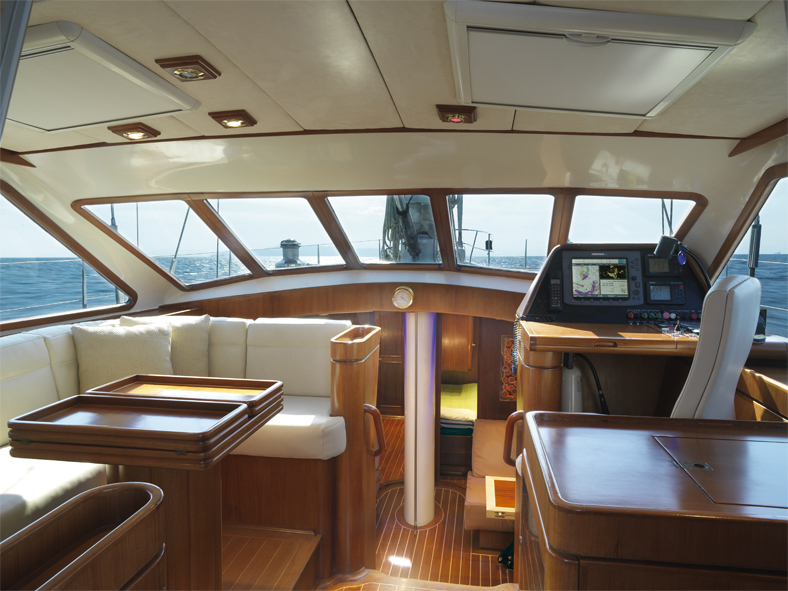 Audio Visual Equipment and Deck Facilities include a LCD TV in the salon and in the Master Cabin, Surround system Bose speakers (internal - external) and DVD.